Be careful – or you’ll “fall” long and hard for Woodland Creek’s leaves and trees cabinet hardware! No matter what time of year or season it is, it’s not uncommon for shoppers to fall madly in love with our great collection of log furniture, rustic decor and outdoor inspired knobs and pulls. Among them? Drawer pulls that replicate acorns on a branch. Bucksnort pulls resembling fallen twigs. Triple aspen leaf knobs for your cabinets and drawers. Now that’s worth falling for! Natural shapes give everything from antler furniture to walnut furniture an instant lift. At heart, every single human being is a nature-loving creature. It’s no wonder, then, that natural shapes are found in rustic decorating and country decor settings – since they offer an instant visual lift that’s pleasing to the eye and soothing to the soul. Add visual appeal to your barnwood furniture or reclaimed wood furniture cabinets with our pinecone, oak leaf or triple acorn knobs. 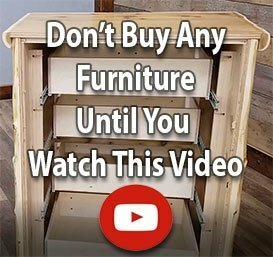 Are you still trying to get a handle on decorating with wood furniture? Are you unsure about whether your aspen furniture or other country furniture cabinets would benefit from a set of pine tree or large acorn knobs? 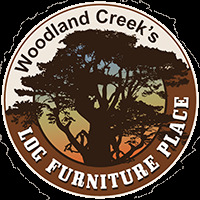 Sometimes it’s easier to get a grip on the latest cabin decor strategies with help from Woodland Creek’s award-winning customer service team at (877) 564-3864 (LOG-FURN).